Hello TechEarnBlog readers, Today you will learn one of the most popular method to earn money online. You know this is very simplest way to earn money. So today Start making money from facebook, google+, twitter, whatsapp or from other social media. Many of you guys might be spending hours daily on internet doing absolutely nothing. But Now, Make money online is one of the traditional and easiest method of all time because for this you don't need any technical or marketing knowledge. We keep hearing about many URL shortening services. I have been using many of them and many of them work great. #What is URL shortener ? #How URL shortener works & how to use? #How you will get payment? #What is the minimum payout? URL Shortener is a website or tool that make big URL to very small so that it can be shared anywhere easily. Now the best benefits of using these URL shortener is that you can earn money from it. Yeah, its true If you are shorting the URL with any URL shortener site and when somebody click on that link you will get paid. The concept of Url shortener is very easy to understand. You have share your shortened URL to your friends or others. When somebody click on the link that you have shortened that person will be see an advertisement(Ad) for 5 seconds and then he/she will be redirected to original site. After that you will get paid upto 12$ per 1000 views. Many sites pay 5-12$ for 1000 clicks. It may vary from 2$ to 12$ depending on the country from where the clicks are recorded. -The very high payout countries are USA, Canada, Austrilia, Germany etc. -Average payout countries are India, China, Japan, Indonesia etc. You can generate decent amount of money with relatively less effort. They have also referrals and they give you maximum 20% commission. Below i have share top 3 most popular and trusted url shortener company who have best paying rates. These company paying its users without any issues. Shorte.st is a European based link shortener tool. This is new URL shortening service website with more creative ideas. Unlike other link shortener sites, shorte.st is the best and easy way to earn good amount of money. Shorte.st is online since 2013. Shorte.st pay you upto 12$ per 1000 views and also you will get 20% commission of referral. >Payment Method- PayPal, Payoneer, web money. >Referral Comission- 20% For Lifetime. >Payment Time- 10th of Every Month. 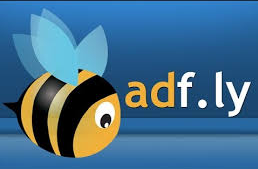 Adfly is the world largest and oldest url shortener website. It has great google page rank and very high alexa ranking. Adfly is online since 2009. Adfly pay you upto 10$ and you will get 20% referral commission. >Referral Commission- 20% For Lifetime. >Payment Time- Monthly & Daily. LinkShrink is also very popular and user friendly url shortening site. It was started in 2014 and after making some necessary changes this network is now one of the best ads network. This company was working hard to build a good reputation in market. 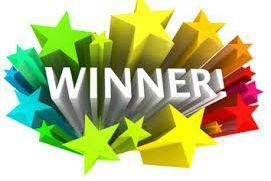 LinkShrink pay you upto 7$ and it gives you 10% referral commission. >Referral Commission- 20% Life time. >Payment Time- Mothly & Daily. 1. Shorte.st is the best and my favorite url shortener because it is not banned in India. 2. Adfly is banned by Indian government, we don't know why adfly banned? :( But in other countries adfly work fine. 3. Adfly doesn't not count fake views but shorte.st & Linkshrink will count fake clicks. I Mean you will not be get paid on second click from same user. 4. Shorte.st has highest paying rate from the other competitors. 5. Shorte.st have ads are good quality and non-frustrating. If you don't have website to shorten the link, you can use www.techearnblog.com posts to make money from it. So shorten it and Share to any social media websites to boost your earning. This is the list of Top 3 URL Shortener websites. We know a spam website cannot be online for a long period. So, On trust ratings and legitimacy shorte.st, Adfly, LinkShrink get top rank. According to me above listed url shorteners are best. So, I suggest you to join and test all 3 popular shortener one by one and choose which is best for you. Friends, I hope that now you have learned "how we use url shortener to Make Money online". So Enjoy making money$$ and Don't forget to share this article to your friends. Tags-Earn Money Online, Make money online, Best Url shortener website, top3 url shortener website, high paying url shortner, earn money shorte.st, adflyand linkshrick, earn 10$ per day, best google adsense alternative, make money without blog, earn money without website. I recommend http://adsurl.io/ they offer high rates per view and they are paying via paypal or bitcoin.